The beach is the setting for many dream holidays. A place to while away the hours, lying back on the white sand, letting the sun warm your skin and listening to the waves gently lapping the shore. But deep under the rippling sea water is a world brimming with strange creatures, an alien civilization ready for you to explore. It doesn’t matter if you’re not a fully qualified diver, many companies offer an introductory dive with an instructor, who will go through the basics of using the equipment and what you can expect when under the waves. The idea of swimming amongst creatures unlike any you’d find on land is an exciting prospect and an experience you won’t want to miss. 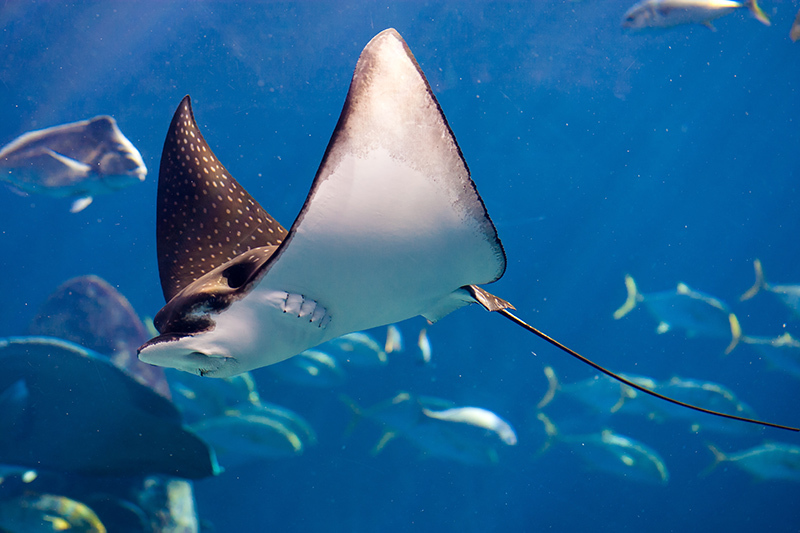 We’ve compiled a list of your favourite sea animals and where in the world you can find them. These gentle sea giants are often referred to as sea cows. They’re both graceful and friendly, gently swimming in the warm waters of Florida. It’s the largest surviving member of the aquatic mammal order of Sirenia, a group of herbivorous mammals who live under the water. The placid sea creatures were put on the endangered list in the 1970s, and with the hard work of many different organisations including charities and Government groups, the Manatee is no longer on the cusp of extinction and on 30th of June 2017 they are no longer considered endangered, as the population has increased to over 6,000. But they are still treated as a threatened species and are kept under close watch. The Manatee generally lives in shallow coastal areas and enjoy the warmth of the West Indies. 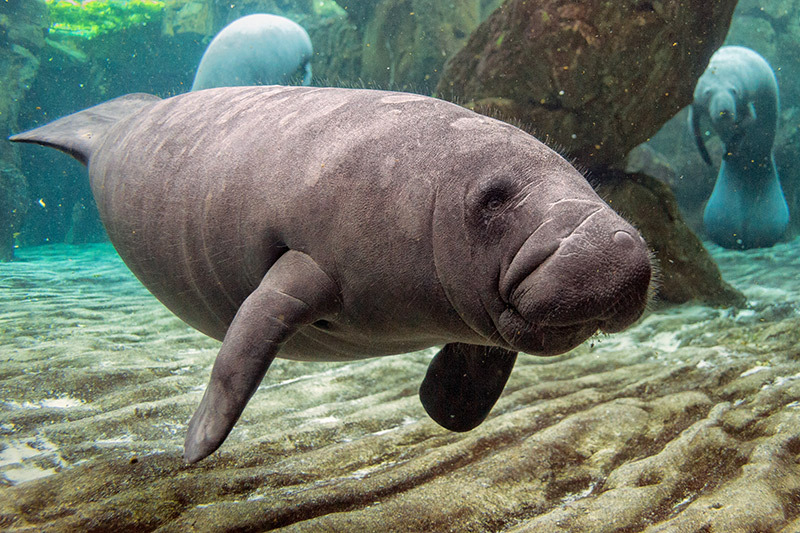 If you did want to swim with these gentle giants, head to Florida and go to a city called Crystal River, where diving companies offer excursions to swim with manatees. 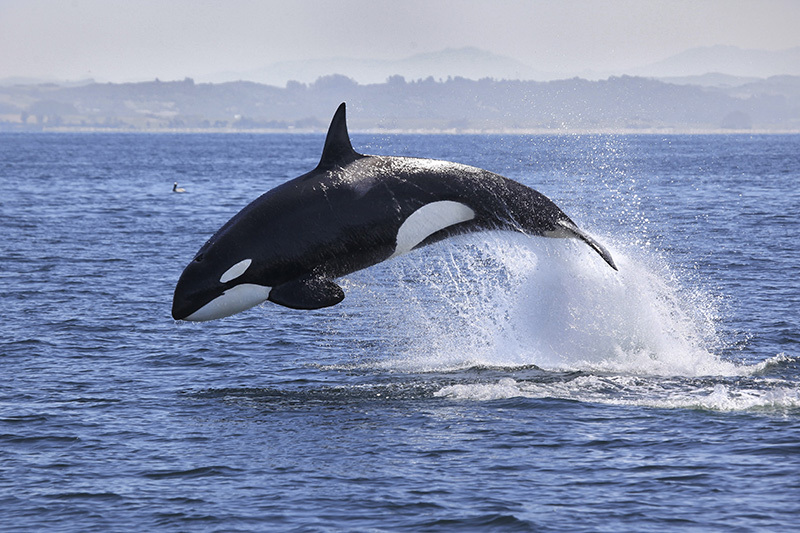 Killer Whales are also known as Orcas. They are the largest of the Oceanic Dolphin family. Many of us fell in love with these black and white giants during our childhood, after films like ‘Free Willy’ introduced us to these intelligent creatures. Killer Whales are highly social and travel and hunt together in groups called pods, each whale is related to those in its pod and their hunting techniques and voice patterns are normally passed on from older family members. Surprisingly Killer Whales can be seen in Norway. Although you are unlikely to swim with these magnificent creatures, there are many operators running whale watching tours, particularly north of Tromsø, where you could spot one of 500 Humpbacks or over 1000 Killer Whales in their natural habitat. Diving with seals is no easy feat, these doe-eyed creatures travel thousands of miles during their lives in search of food. The best way to see them is to go to a place where they are known to come ashore. 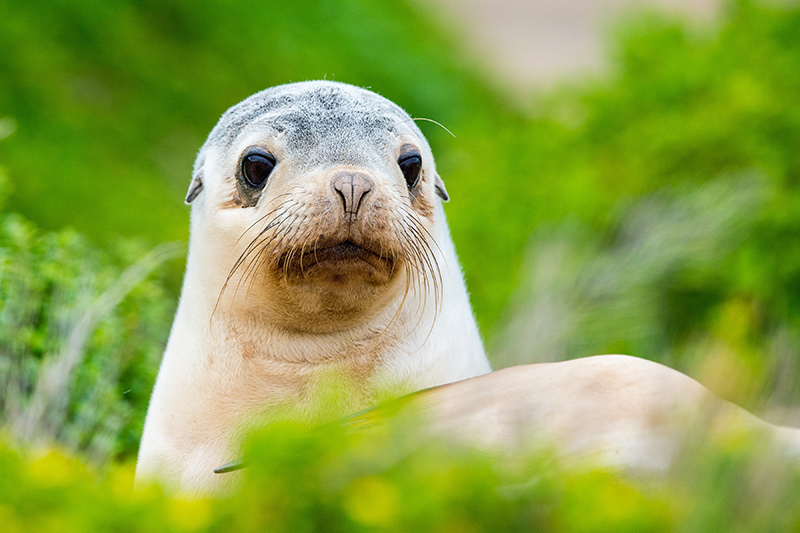 Seals spend time on land for three reasons – to mate, to rest between fishing expeditions and to moult their fur. If you want to see them it’s best to head to the popular seal beaches during the moulting or mating cycles of the seals. Grey seals start appearing on breeding beaches around the middle of September, so the females can give birth, although they start to reappear again between mid-January to early April, so they can moult. Seals are a great photo opportunity and during the last estimation, using thermal cameras and helicopters, the population of common seals in Scotland was around 26,400. These lovable characters have been a favourite amongst people for years. Many people dream of one-day swimming with these friendly mammals so much so that it’s scrawled on bucket lists around the world. But if you go to the right place at the right time that dream could come true sooner than you think. A trip to Hawaii is the perfect opportunity to see these beautiful creatures up close, in their natural habitat. Many tour operators offer excursions for people to snorkel amongst the animals, it costs around £200 and normally includes lunch. 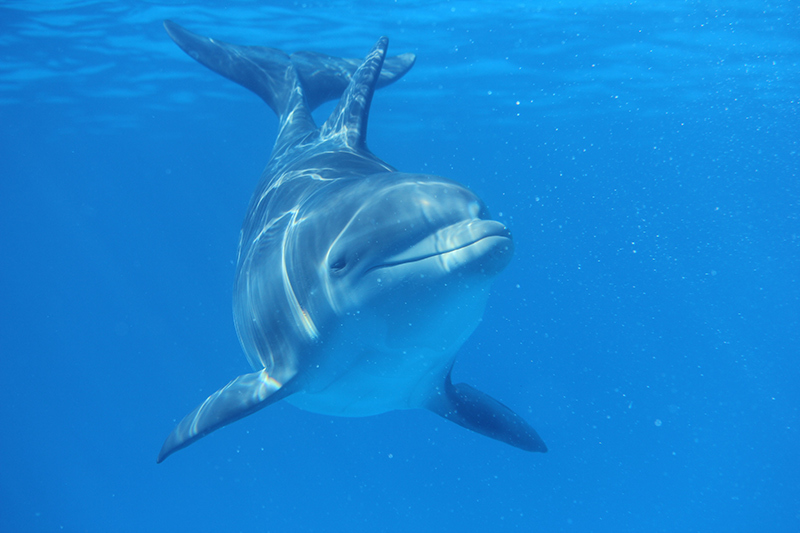 Many who have had the opportunity to swim with them often speak of how friendly the animals are and highly intelligent, with them being able to detect pregnancy in a woman. 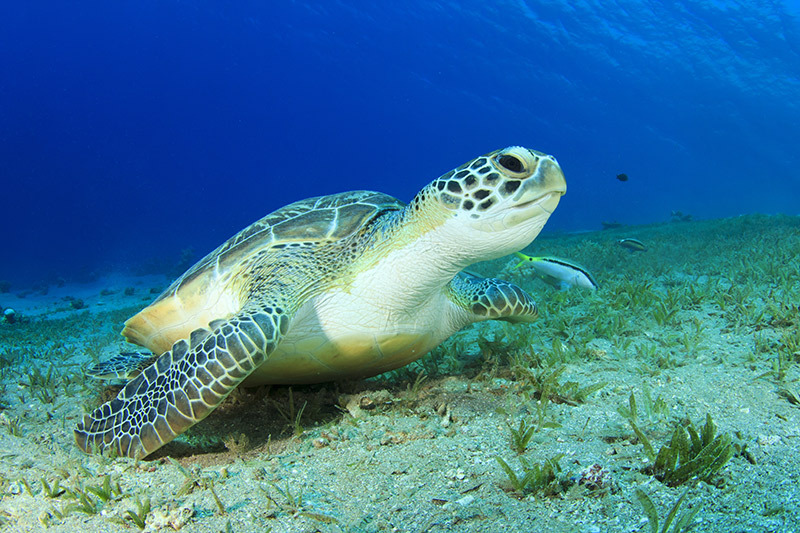 The Loggerhead Turtle is a marine reptile, who lives in salt water. The females occasionally come to shore to lay eggs and then immediately turn around and head back to sea. When the hatchlings are born they head into the water to join their parents. They weigh around 300lbs and they’re almost 4 ft in length. According to divers encountering a sea turtle while diving is one of the best creatures you’ll find and if you head to West Palm Beach in Florida, you’re likely to come across one while diving, as it’s home to seven species of turtle including the popular Loggerhead turtle. Loggerhead Turtles are listed as an endangered species and are therefore protected by the International Union for the Conservation of Nature. Don’t be fooled by the name, this shark may be the second largest living fish, after the whale shark, but unless you’re a tasty plankton there’s nothing to fear. It’s a slow-moving filter feeder, which means it feeds by straining suspended matter and food particles from water. 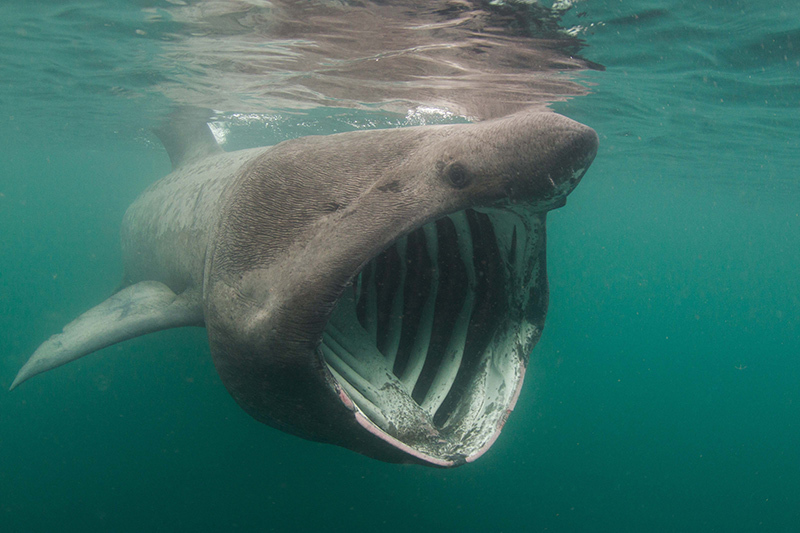 The best thing is you don’t have to dive into the deep dark depths to find a basking shark, as it spends most of the time at the surface, where the water is warmest. You can find them in the most unlikely place, in Cornwall. Charles Hood, a Photographer and Diver in Cornwall has been in the water with these majestic creatures since the 1980s. He claims the best time to see the Basking shark is from May to mid-July. But this can vary depending on the animals. You are more likely to see them if the water is calm and the weather sunny. These graceful animals glide through the water, they are a beautiful sight. 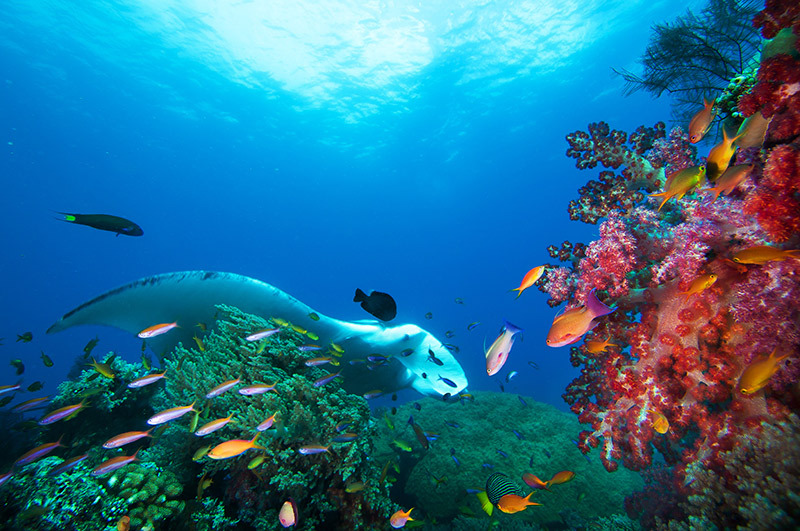 They can be found in subtropical and tropical water, which is why Thailand is a great place to go to find yourself swimming with the graceful beauties. There are two species of manta Mants birostris travels across open oceans, while Mantis alfredi tends to stay close to coasts. You are more likely to find the first species of manta rays in Thailand, particularly if you head to Koh Bon or the Similan islands between February and April. There are hundreds to see along Thailand’s shores. What sea animal would you like to see?